Dragon NaturallySpeaking Upgrade to 13 – why now? When you see what it has to offer, you will find that a Dragon NaturallySpeaking Upgrade to version 13 will prove to be a good and cost effective move as long as you understand the pros and cons of your specific situation and then act accordingly. In addition to adding many new features, enhanced performance and compatibility with Windows 8.1, Dragon NaturallySpeaking 13 also has the limitation that it is not supported with Windows XP or Vista. It may work, but XP and Vista implementations are not supported so any compatibility problems may require an Operating System upgrade or a new computer to resolve. First of all, if you are using any version of Dragon NaturallySpeaking 10 except the Legal version, you are now out of the “Upgrade Window”. 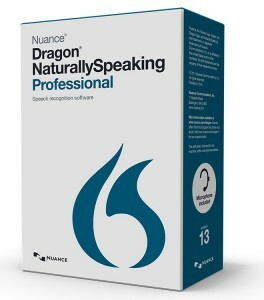 Nuance has a two version limit for upgrade pricing, so if you fall more than two versions behind the current Dragon NaturallySpeaking, you will no longer be eligible for the upgrade pricing and must then “re-purchase” a Dragon NaturallySpeaking at the regular price in order to acquire a newer version. Since Nuance has already announced version for all editions of Dragon NaturallySpeaking except the Legal edition, Legal 10 edition users can still upgrade to NaturallySpeaking Legal 12. I recommend that you do so as soon as possible as this will put you back into the “Upgrade Window for another couple of years and allow you, in the mean time, to upgrade from Windows XP to Windows 7 and possibly Windows 8 if you need to. You can then upgrade to 13 at your leisure or wait until version 14. If you do wait, plan on upgrade to version 14 as soon as it is released or you will be right back in the same situation of trying to upgrade to 14 as it is being replace by 15. Already outside of the “Upgrade Window”? For those of you with version 10 or lower and are no longer eligible for the upgrade pricing, the good news is this: By not purchasing 1 or more upgrades, you have already saved the difference in the upgrade pricing, the cost of new software or even more, depending on how many upgrades you have skipped. The bad news is that you have to catch up some now (or later) to update your Dragon to the most current version. Version 11 and 12 users have some options. If you are a version 11 Legal user and are considering upgrading to version 12, I recommend waiting until the release of version 13 Legal and upgrade then. It may be in a few weeks or a few months but if you can wait at this point, that is what I would recommend. Windows XP or Vista Users: If you have an XP or Vista machine, you might be tempted to just wait, and you can do that. However, the Dragon Professional upgrade promotional pricing at 50% off available until Sept 15th is the lowest upgrade pricing Nuance has ever provided. Based on the promotional pricing I would recommend upgrading now to NaturallySpeaking Professional 13 and then hanging on to it until you need it or try it on your XP or Vista machine. You will save $50 over any future promotional pricing and $150 off of the normal upgrade price. Dragon 11 Users: As 13 is the last stop for you for upgrade pricing, you are going to have to purchase it at some point anyway so you might as well get the full product life cycle for your money. Start taking advantage of a 2 version jump, get compatibility and new features for newer operating systems and programs, and save some money in the process. Dragon 12 Users: Dragon NaturallySpeaking 13 does provide enhanced performance and accuracy, Windows 8.1 compatibility and host of new features that you may want to take advantage of, but there is no need to upgrade immediately other than the promotional pricing. If you are considering upgrading then do it now and save some money. If you are leaning toward skipping a version then wait. You can upgrade at any time during the version 13 or 14 life cycles, it just may cost a bit more when you need to. Important Last Note: At this point Dragon Naturally Speaking Professional upgrade purchases are “Pre-Purchases”. The software will not be shipping until sometime after the middle of September. This should not be a big issue for most folks upgrading the software they are using, but if you are purchasing Dragon NaturallySpeaking Professional, be aware that it will not ship right away.